Authoritarian Turkish President Recep Erdoğan could have hardly asked for a better coup. Apparently launched by a faction within the military at night (an odd time to launch a putsch in a country where these have, in the past, usually happened in the morning and involved the arrest of political leaders), the coup was put down within about five hours; but not before at least 161 people were killed and almost 3,000 soldiers arrested. President Erdoğan, who had a tense relationship with the military, which sees itself as safeguarding secularism and the Turkish constitution from a political leader whose Justice and Development Party (AKP) is more socially conservative and allows for a greater role for Islam in the state, can now proceed with what he has wanted to do all along: purge the military. With some 3,000 soldiers and military personnel arrested, and with the president promising swift and merciless retribution for all those involved in the failed coup, European Union and American leaders who were quick to declare support for the democratically elected, but hardly democratic Turkish leader should be worried. In 2013, when 3.5 million Turks protested against the government’s censorship and excessive use of police force, the heavy-handed response resulted in 11 fatalities and 8,000 people injured. Prime Minister Viktor Orbán’s government was not only quick to announce that it fully supports President Erdoğan, but enthusiastically added that those who led the coup were terrorists and that Hungary seeks closer ties with the Turkish government. 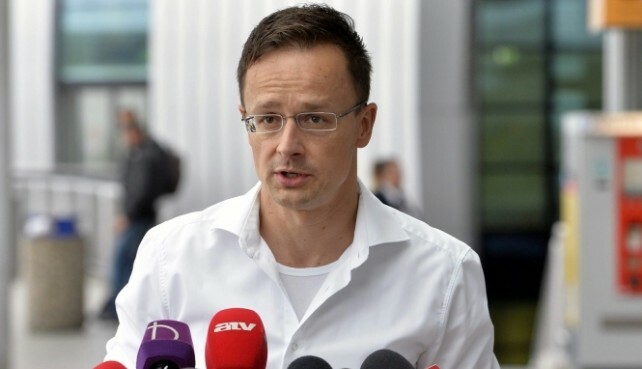 Minister of Foreign Affairs and Trade, Péter Szijjártó, gave a press conference at Liszt Ferenc International Airport in Budapest, the morning after the coup. He noted that 175 Hungarian citizens presently residing in Turkey have registered with Hungary’s consular officials in Ankara and Instanbul in the hours following the unrest. Consular officials have opened a 24-hour hotline in Turkey and the minister is encouraging all Hungarians in the country to remain indoors, in their place of residence, and to register with Hungary’s consular staff, if they have not already done so. Péter Szijjártó, Hungary’s Minister of Foreign Affairs, speaking on Saturday at Liszt Ferenc International Airport in connection to the failed coup in Turkey. Mr. Szijjártó added that while there was fighting in the street immediately next to Hungary’s embassy in Ankara, nobody was hurt in the mission. On another, but equally relevant topic for Europe and the world: the Orbán government, speaking about the horrific terrorist attack in Nice, which killed 84 people on Thursday night, Lajos Kósa, the leader of Fidesz’s caucus in parliament, declared that terrorism and migration are connected. “What else has to occur for the European Union’s leaders in Brussels to realize that their migration policy is unsustainable?”–asked Mr. Kósa. As we know (and as Hungary’s government knows as well), the terrorist attacker behind the tragedy in Nice was a 31 year old French national of Tunisian origin by the name of Mohamed Lahouaiej Bouhlel. He had nothing to do with the current migrant and refugee crisis. Orban’s relief at the failed Turkish coup and his rush to embrace Erdogan closer is no surprise: He of course fears the counterparts, in his own burgeoning autocracy, of the democratic and secularist sentiments that motivate Erdogan’s opponents, civil and military. He will predictably spin both the Turkish coup and the French tragedy toward his own sinister and sociopathic ends. The saddest part is the way democratic leaders, including those of the US, the UK and Germany, are falling over one another in their haste to solemnly express their support for Erdogan’s “democratically elected” regime. Of course they are (rightly) worried about more violence and instability in the Middle East (and elsewhere), but it’s ironic that circumstances are making them into the enablers of the likes of Erdogan and Orban, and the notably undemocratic direction in which they are hurtling. Now that one dictator has been threatened, we (other dictators) must stick together even closer, and since we were “democratically elected”, the heavy repressions to come shall be in the name of “democracy”, and (for good measure) as part of the fight against “terrorists” (we know how bad they are). Perhaps the knowledgeable and wise minister knows all about the coup, but where were the migrants in this episode. I miss this angle. @ Observer: Interestingly the ‘other dictators’ (supporting Erdogan) are US President Obama, and all leaders of the EU member states. Are you reading the news and commentaries? I would like to know how Christopher Adam knows for certain that there was no connection between the truck assassin and the migrant crisis. Is this his opinion or has some proof? Credible link would help. Assuming that there is no direct link, there is however a remote link: the first and second generations by the actual immigrants are radicalized and become Islamist terrorists – this is what we are experiencing today. Several years from now we will have a great deal more first and second generation terrorists if we assume that the trend will continue. Are you asking Adam for a proof that your assumption is wrong? Because so far there has been no info re any link between the perpetrator and any terrorist organization. Moreover, it is hard to imagine how this atrocity can have a real connection to the current refugee/migrant crises. @Observer, your logic is clearly unsupportable. 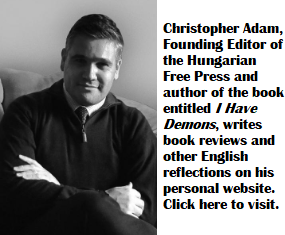 I am asking Christopher Adam to prove whether what he is saying is a fact or is it simply his opinion. This is a valid question to any journalist. In addition, assuming that Christopher statement is correct, what is he trying to say? If we assume that there is no connection, just because there is no connection should we let Muslim migrants in any numbers into the country not knowing who they are without vetting them? Is this what he is trying to say? Regarding your second point I read the article. It is a long article, it is a bit diluted relating to my simple points earlier. What is your point? What I said earlier were the facts in a few sentences. You gave me a long article which reads like a non-fictional novel by a left-liberal white guy from possibly NYC who may try to justify indirectly what Islamists are doing and why. One thing I took away is that these Muslim people (even after being born in the country) have difficulty to integrate. After reading it I still say it again: in many cases the second and third generation Muslims who get radicalized, commit horrific crimes or go to fight with ISIS. These are facts. And pay attention here: I meant it and say it here: it is only a few, most of them are well intentioned like Ben Ahmed. One radical Islamic militant person with a 19-ton truck could cause horrific damage as in Nice. You clearly do not believe that his original intention was truly to hand out ice cream and just something accidentally went wrong, right? Still the article does not disprove what I say. You need a few bad apples to rot all apples in the basket. The many dozens of horrific crimes committed by Muslim radicals who were either born in the country or immigrated (like the Boston bombers, underwear bomber, one of the San Bernardino two Muslims, the other one was US citizen, Paris, Brusseles, Nice, the list goes on – these are just few examples, there are many more). But that does not justify to let more in in large numbers without vetting them because vetting is impossible said several Homeland Security and law enforcement officials . Get the facts, define the main points and connect them. But what the hell, you maybe a left-liberal from New York or SanFran, or wherever, so convincing you with logic may be an exercise in futility because you believe what you want to believe based on your ideology and lies. You simply want to let these military aged Muslim men into the country by the 100s of thousands (1 million broke into the EU last year) without vetting them and create an even much larger problem in long term on the top of the huge one the US and EU countries have. End of story. Ask for? Or he himself engineered it so well organized that it didn’t last for more than a few hours? Anyway, he called it a gift from God. Meanwhile, I am not sure the game is over. He sealed the Incirlic airbase where 80 NATO tactical nuclear weapons are stored and guarded by a small NATO force. He, the local authorities, denied all access and movements to and off and cut the power supply. What’s gonna happen when Erdogan manages to lay his hands on the stock? Or already happened? These are all US tactical nuclear weapons and now they practically rest in the hands of a Turkish government. Is the game bigger than it looks like? What kind of coup d’etat was this? @Joe Troll …. for now you’re out. Obviously you’ve got the party line script – the Rogan declarations almost verbatim. My logic is straight and simple: the French say there is no indication at present re any links to terror organizations. End of story (not for a fidesznik, who knows better than the French services, off the top of his empty head). Spare us the uneducated guesses, party mantra and silly slogans. Mass migration (which I oppose) is a problem, which has to be dealt with by Europe. The dim Orban bunch has neither the ideas, nor the intention to resolve the problem, e.g. with the fence up and thousands of police and soldiers there are still avr. 3 600 entering per month. There are no more than 3000 on average in Hungary, i.e. all are being dished further to Austria, Germany and Europe (which Orban is defending, just like he defended the pension fund money). But I am in no mood to delve into the nonsense of this half baked, malevolent character, who epitomizes the stereotypical gypsy vices: lies, cheats, steals, and now resort to violence and has never done a day of work, scheming politics aside. Observer – As I always say: when a left-liberal can not argue logically on the merits of the discussion points, then s/he start calling the others by names and/or change the subject. First, I am not a troll. If I am, you are as well. Second, as I said earlier I am not a party person to any party. I just connect the dots which you obviously have problem with. Third, I am not repeating the Rogan declaration verbatim, all I say is what makes sense to me- unlike your incoherent rambling. Orban already significantly slowed down the Muslim migrants’ entering into Hungary. In fact several other EU countries have started to build a fence and started to put in place border control. Why? To curb illegal migrants’ entry into the country. These are facts just in case you are not aware of these. Fourth, bringing in the pension fund argument is just another point I make: a liberal changing the term of the discussion to a non-relating item because he can not argue on the merits of the discussion points. Bringing in the gypsy vices is another visible attempt by you to dilute the discussion and change the topic because again you can not argue on the merits of the topic. You are all over the place. Unbelievable, this failed coup in Turkey reminds me of the likes of Liz Aucoin, Christopher Adam, Observer, and co, staging a coup against the democratically elected Orban government. I wonder what would be the reactions coming from majority of Hungarians who voted 2/3 for Orban government. Of course Observer, Christopher, Liz, dont know the true meaning of democracy and does not accept the fact that 2/3 of the people in Hungary voted for Orban, they use labels on Orban like “dictator”, “fascist”, “electoral fraud”, “gypsy vice”, so on, so on. They are bunch of Leftist-Liberal anarchist who believes that the solution for Hungary is Anarchism. Well take your pills and dream on guys. Orban regime is a legitimate 2/3 democratically elected government, learn to live that. I know Orban might do shifty stuff but hey, Orban is not perfect so dont expect him to be perfect, he’s human and make mistakes like anyone else. And you dudes are no better than Orban, you guys are much worse than Orban. Because on the day when Christopher Adam, Observer, Liz Aucoin, takes power inside the Hungarian parliament, they will ruin Hungary in 4 hours!!!!! Lets appreciate that Orban is not like Obama or Merkel or all those mentally retard politicans who care less for the people than Orban. 28% , much less than one third ! of the Hungarian eligible voters. Re. who cares about the people, instead of silly slogans, I would rather consider the (doctored) KSZH figures, showing increasing poverty, stagnant growth, low investment, increased foreign debt, mass emigration, etc. etc. Hungary is the worst performer in Eastern Europe (but for Bulgaria, perhaps). From coming Observer the Fat lier. I know that is what your response is, RIGGED ELECTION. There is nothing rigged about the 2014 election, its the lunatics like you who were too lazy to vote or boycotted the election, preffered to vote for paraszt MSZP again but you realised that the MSZP “bunda” party was out of popularity among majority of Hungarians so you left with no chance. Learn to enjoy living under Fidesz regime buddy, thats the consequences for voting for MSZP.